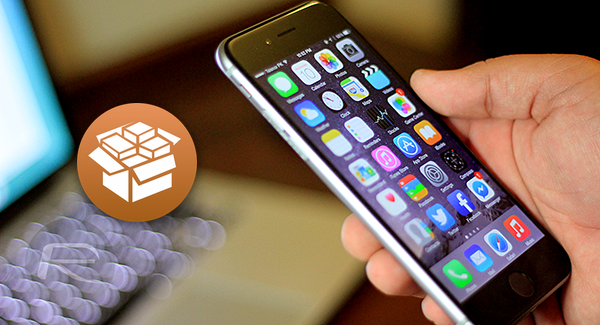 The initial Yalu jailbreak solution came as a very welcome surprise for jailbreak fans across the globe. And now that the jailbreak is a bit stable in the latest yalu102 form, and many tweaks are already updated to support the latest jailbreak, what are the best repos/sources to have in Cydia? 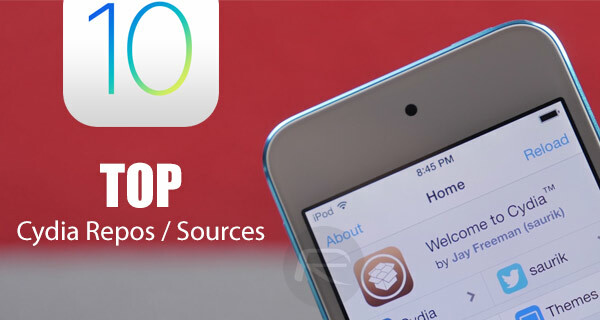 Here we’re going to take a look at what we feel are the ten best repositories that you should have installed as sources in Cydia on your jailbroken device running iOS 10. Ryan Petrich is one name that doesn’t really need an introduction to those familiar with the jailbreak community. The developer has been working tirelessly for as long as we can remember to not only produce and maintain high quality premium jailbreak offerings such as Activator, but also pushing out experimental wares that utilize Apple’s latest technologies within iOS. There’s literally tons of excellent stuff, both in beta and final versions, hosted on Petrich’s own personal repository. It’s also the place where you can find experimental versions of Activator – a tweak that is an absolute must have on every jailbroken iPhone, iPad or iPod touch device out there. Add this repo, you won’t be disappointed. Ivano Bilenchi, author of the excellent iCleaner Pro tweak for jailbroken devices, has two repositories available to jailbreakers. The first repository contains stable software releases, such as iCleaner and iCleaner Pro for iPhone, iPad and iPod touch. The second repository is basically a home for what Bilenchi calls his “bleeding edge software” releases. Basically, a repo for beta creations that may or may not be functionally complete and bug free. Karen, or angelXwind as she is more commonly known in the development community, owns and maintains her own repository that hosts a seriously large array of excellent packages. There’s also a secondary repository that contains webstack packages for the more advanced iOS user, as well as other useful system utilities, but it’s unlikely that the average user will need this. Karen’s main repo contains excellent offerings such as AppSync Unified, SafariSaver, PreferenceOrganizer 2, mikoto, and IneffectivePower. Although it’s important to know that AppSync isn’t compatible with iOS 10 yet, but hopefully should be soon. This is probably one of the lesser known repository gems out there, but it’s currently growing in popularity thanks to the packages such as Hapticle that mimics functionality of Apple’s Taptic Engine haptic feedback on older devices. There’s also a number of additional installations that will offer some joy as well. Definitely worth adding as a source on Cydia on your jailbroken device. The HASHBANG Productions repository is one of the better known repos, and for good reason. There are literally tons and tons of excellent packages listed on the source. While not all have been updated to work on iOS 10 yet, many do work already. Definitely worth checking out. This one is extremely simple. This particularly repository contains tweaks such as packages that are designed to bring certain 3D Touch functionality to older hardware that aren’t supported by Apple. That’s a good enough reason to get right in there and add it as a source. There’s a ton of really great packages offered on the source, such as Cuttlefish, CycleBluetooth, QuickShuffleRepeat, among tons of other packages. Philip wong is a fairly well-known name in the jailbreak game these days, and rightly so. The developer is behind the extremely popular Speed Intensifier package that speeds up the native animations in iOS and makes everything appear a lot nippier and quicker. F.lux tweak is extremely well-known for being one of the best installations around for those who want to improve their viewing experience on any iOS device. For some, it works better than Apple’s own “Night Shift” implementation available on iOS 9.3.x-10.x devices. The CoolStar repository is a phenomenal resource but probably one that should only really be frequented by advanced power users due to the nature of what it hosts. Adding this source will provide access to advanced command line tools and other technical packages that go above and beyond the standard offering. All of them host trusted apps and im using them for quite some time. most of those are well known for forcing a dylib to run, which is more than suspicious. I wouldn’t use the word trusted with the thre (2,3,4) that i recognize. i ‘m shafique and i want know your are talking about that job..
i really want to know about are talking,..
i m sorry but my english is not good. This website is useless, there wasn’t a single repo listed or labeled here correctly…? ESPEACIALLY the one that is claimed to be the “Author” of speed intensifier??? I tried 3 of the listed repositories and each one felt more sketchy then the last. Insanelyi has too many popups when you add their source or any packages from their repo now. I can’t even browse cydia properly with that source installed..
repo coolstar is not found!! cydiasource(. )net is the only source you’ll ever need. It provides all the tweaks and packages from all the top sources in one source so you never have to manually enter all the sources ever again. This is 2016 and this is fast and convenient. The days of manually entering all those sources are for the stone ages.